I hate the title font. It's too yellow and sort of kiddish for the vibe I think they're going for. However, the rest of the cover is brilliant. 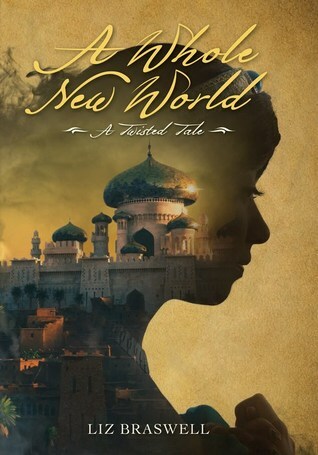 It takes the girl-face-cover to another level with a clean silhouette literally revealing a whole new world past it. I love that it focuses on the buildings. The golden domes. The square and the palm trees. It makes you feel like you're being transported. And it's complexity is nicely juxtaposed with the simple parchment-paper background. I just hope the book is good. I've heard mixed things. Taylor Swift has grown on me over the years. I mean, "Shake It" and "Blank Space?" Yes, please! But I'm an alternative girl at heart, so I adore this pop-punk cover of "I Knew You Were Trouble." Adds a little edge, yeah? God, I KNOOOOOOOW! It's really not fair. I may start it and see how it goes. Someday when I have a free minute. I love ALL THOSE THINGS too, but there's so little time and so many books.